Vancouver School Board apologizes after local elementary school blocks Hanukkah decorations but allows Christmas trees. The Vancouver School Board apologized to students and parents after a local elementary school blocked them from putting up Hanukkah decorations, Global News reports. Sheila Sontz said her 11-year-old daughter Maya and friends were told Jewish symbols would not be allowed among the school’s holiday decorations because they are religious in nature. The school principal made the decision despite the school’s decorations including things like Christmas trees, which were described as “cultural symbols” and not religious symbols, Sontz said. Sontz also said she had asked the school’s principal to include some Hanukkah songs during the school's Christmas concert, which will take place during Hanukkah. "I was absolutely shocked to get a reply that there was to be no Hanukkah decorations in the school, no menorahs, because she considered them to be religious objects," she said, according to CTV News. “It was actually suggested that if we really were insistent, we could place a dreidel underneath the [Christmas] tree, or hang it off of the tree,” she added, noting she viewed Christmas trees and Santa Claus as just as representative of a religious holiday as a menorah. The mother also noted said that no matter the rationale, excluding one culture in favor of another goes against the school’s policy of inclusivity. Initially, Vancouver School Board associate superintendent Nancy Brennan supported the principal, telling CTV that principals have the leeway to set policy for holiday decorations in their schools. “I’m no expert in terms of cultural symbols and representations, so I wouldn’t want to be making those decisions at the district level for schools in terms of what is appropriate and not,” said Brennan. Vancouver School Board chair Janet Fraser, however, later acknowledged the school had made a misstep. “As Chairperson, I apologize on behalf of the Board to the students and their families who did not feel welcomed and included at their school,” Fraser said in a statement quoted by Global News. 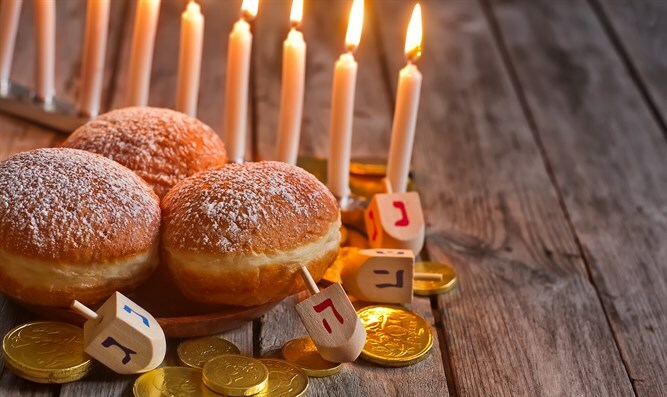 “We acknowledge that in the interpretation and implementation of our policies, there has been confusion about what is permitted as part of upcoming winter celebrations, including Hanukkah,” she added. Fraser said the board has specific policies around multiculturalism and non-discrimination, and that schools work to support an environment that respects and reflects racial, cultural and religious diversity. She said staff will be meeting with the families to ensure they feel included and represented at their schools.